Sundial Cannon Could Be Most Effective Alarm Clock In History | OhGizmo! WWE Smackdown Alarm Clock – Can You Guess How You Trigger The Snooze Button? 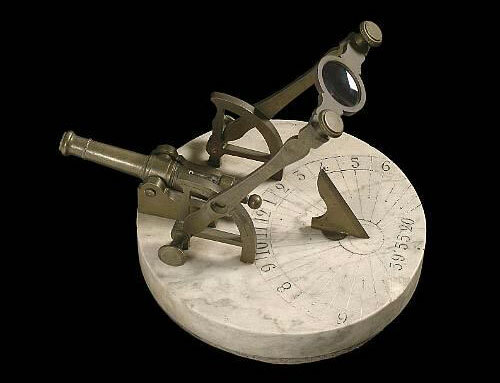 This is what’s called a sundial cannon, or a noon cannon. Assuming the weather cooperates, at noon exactly the lens on the sundial focuses sunlight onto a pan filled with gunpowder, setting off the cannon to mark the time. Generally, the cannons weren’t loaded with shot, but with all of the novelty alarm clocks out there, it seems like one that automatically shoots you could be really, really effective, in a potentially dangerous sort of way. And hey, it’s even solar powered. Talk about being green. No wasteful use of electricity or requirement for a station to be picked for a radio alarm, and no flashing leds. Just the occasional chance that something accidentally gets placed/falls into the cannon and the next alarm shoots it at you. My alarm clock is in my head. I'm thinkin this would make an excellent auto-firing squad execution method.